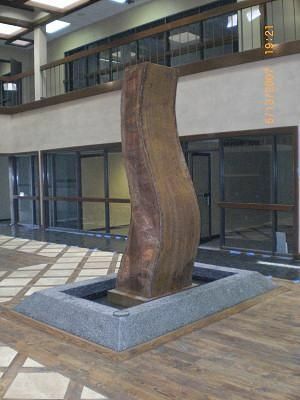 This fountain was created for an office building in TX. It is a verion of my New Child fountain, done in a large scale. Dimensions: 10' tall x 3' wide water feature.